Question: I need to get a bamboo rod, but a couple hours of Internet research has left me as confused as when I started. How do you know which one to get? Answer: First of all, whom are you kidding? You don’t need a bamboo rod; you want a bamboo rod. I’m not your wife, man, so you don’t need to convince me. I completely understand why you’d want to treat yourself to a fine cane fishing tool. How much are you willing to spend? Your answer to this question might cut your options in half. A vintage rod by a famous maker, such as a 1950 Dickerson, can cost as much as a car, whereas a mass-produced overseas model might cost less than a high-end graphite rod. Does the name or brand matter? Some guys have always dreamed of owning a Winston or an Orvis cane rod because Grandad had one. Or maybe you crave a William Oyster or Rolf Baginski. Perhaps there’s a nearby maker who isn’t well-known, but you like the idea of buying local. There are basically three kinds of bamboo-rod makers: traditional rod shops (Winston, Orvis, Thomas & Thomas, Hardy, etc. ), custom makers, and offshore companies (who produce less-expensive cane rods overseas). Do you want a piece of art or a fishing tool? Bamboo rod makers often go to great lengths to provide one-of-a-kind pieces of impressive artistry and craftsmanship, but they can also create utilitarian fishing rods without the frills. Those exotic-wood reel seat, fancy guide wraps, and agate guides drive up the price, but they sure are beautiful. How will you use it? There are so many different lengths, actions, and designs available that you’ll need to do some research, talking to the rod maker or manufacturer. 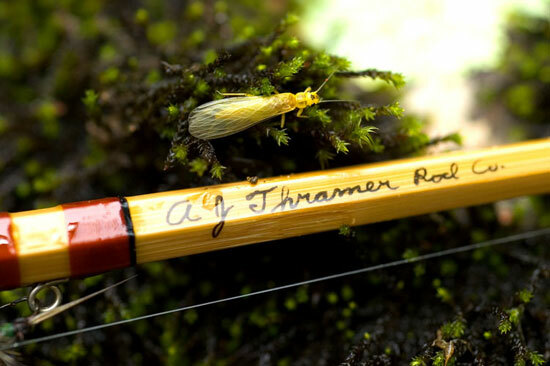 Will you use it for all kinds of fishing or just dry flies? You can’t just say “medium-action three-weight” because there may be five different models that fit that description. Most custom craftsmen make rods with very specific, often quirky actions, so you’ll need to cast several rods to determine which is right for your needs. Zach Matthews’s article “Choosing Cane” goes into much greater detail on all these topics, but choosing a bamboo rod is ultimately a very personal decision. When you buy any Sage or Orvis or Loomis rod, you’re getting the same thing as any other guy who buys that model. But when you buy bamboo, you’re often getting a one-of-a-kind product or at least one that appeals to a much smaller group of anglers. So take your time, cast plenty of rods, and get yourself the one that best fits your needs and desires.